We’ve all been there before. You’ve just hand-crafted the single greatest post known to man. You’ve worked hard for hours, crossed your t’s, dotted your t’s, and proofread the article a million times. You’ve written some informative content that’s going to change the game completely. You can see the success the post is going to have at the end of the tunnel… This one’s going viral for sure! After all that hard work and effort you’ve put into writing the post, you publish it to your blog and wait for the reactions and impressions it’s going to make. You wait… and wait… and wait…. And it gets zero traffic! To be brutally honest, most people on the Internet don’t care about the majority of content that’s published. Only a select sample of awesome content that’s shared actually hits it’s target demographic, gains traction and spreads around the web. Mozz and Buzz sumo analyzed hundred thousand articles and determined, “50 percent of 100,000 randomly selected posts had two or less Twitter shares, two or less Facebook interactions, one or less Google+ shares, and zero LinkedIn shares. This is why you need to get the word out there and aggressively promote your content. Content isn’t a write or create awesome stuff and the followers will come type of deal. You need to make sure people will see it for it to be viewed, shared, liked, and spread around the web. We’ve compiled a list of helpful tools and hints to ensure your awesome content reaches the right people and gets the recognition it deserves. You’d be amazed at how many high traffic blogs thrive on sharing other people’s content and are happy to share yours! Reaching out to big industry/ topic influencers and using their reach is a great way to hit your target demographic and build brand awareness on a global scale. Not to mention, it ensures that awesome content you created reaches the audiences it was meant for and gets the recognition it deserves. A great tool to see what kind of content is being picked up by important topic influencers is BuzzSumo. With this tool, you can search any kind of keyword or topic your heart desires and see what’s catching on, with who, and where. Click on “view sharers” in the results. This will give you a good list of blogs to target and send that awesome content to. Let the sharing begin! Contact the sites you’ve linked to in your article. Sometimes when you write an article, you will find yourself linking to a site that provides a service or a helpful resource that relates to your article. Kind of like what we just did with that tool from BuzzSumo! It’s the old “I’ll scratch your back if you scratch mine” technique. You’re driving traffic to the owner of the resource’s website and more often than not, they’re willing to share the care and feature your content to drive some traffic back to you. It’s a simple process; compile a list of the authors/ resources you’ve linked to in your article once you’ve published it, then contact the owner of the resources to let them know you’ve written an article about their service and ask them to share your article. To keep things interesting and exciting, step away from the text based blog posts once in awhile. Videos, pictures, podcasts and info graphics are all a great way to get the message across to your audience without getting repetitive or boring. A picture is worth a thousand words, a video is worth a million, and spoken word is much more engaging than a user simply reading text on your webpage. Make sure to mix it up to keep your audience interested and engaged. You don’t want to bore people, it’s important for the sake of your content reach and customer retention! Another crucial way to reach your audience that is often overlooked is ensuring you’re using a consolidated marketing campaign. 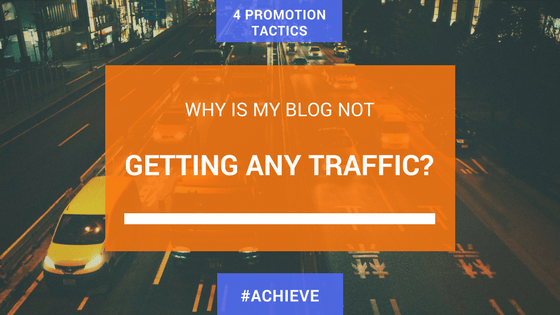 Depending on where you post your blog is a big factor on who actually sees it. Not every person in your audience will embrace every medium of communication or social media network. That being said, it’s important to blast the news about the awesome new content you just published across all the channels of communication that you have! Once you’ve written up and published that awesome new blog post, fire up the email list and send out the word, tweet it, post it to facebook, make a Instagram post or story, link to it through every medium imaginable. Make sure every set of eyes get’s to see the masterpiece you’ve just created.